Backache: Have you tried with the heat? Almost all of us have experienced it at least once in our life. Here’s how the heat can help. Almost all of us have experienced it at least once in life, but more than a fifth of the population suffers in a more or less chronic way. Here’s how the heat can help. 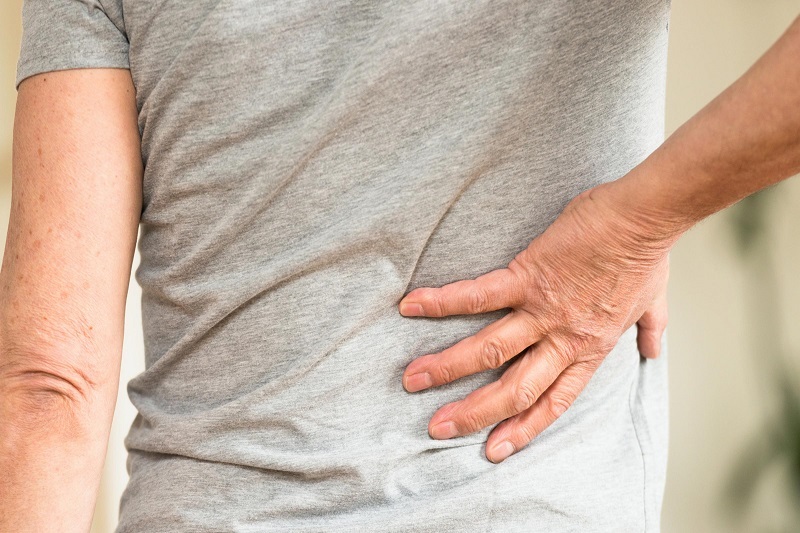 The back pain is no distinction affects men and women and elderly. The causes can be many, starting from the classic cold blow to a wrong movement. Small trauma, sudden movements or physical activity performed without proper preparation can cause pain in the back. But in most of the cases there are the wrong lifestyles: bad postures, often associated with a sedentary lifestyle and a few extra pounds, and obviously the stress that does its part should not be underestimated. The result is the appearance of pain, which is almost always associated with muscle contraction. Fortunately, it usually resolves in a few days with some simple precautions. Only if the pain recursively continues or continues without decreasing for 2-3 days is necessary to contact the doctor to investigate the cause and exclude conditions that require specific attention and treatment. In any case when it appears, this annoying disorder hinders or prevents normal daily activities and our only thought is that it passes quickly. It may happen that the back pain is so intense that it will initially require bed rest and analgesic medication to relieve pain. But as soon as it is possible, moving is certainly better than staying still: excluding particular pathologies the pain in the spine and the muscles of the back improves with a mild and appropriate physical activity, being always careful to avoid excessive efforts. In addition to “dissolving” the muscular tensions, the movement induces the production of endorphins, which can increase the feeling of well-being and counteract the pain. It is natural, however, that with back pain you tend to avoid moving, especially for fear that gets worse. First of all, therefore, it is necessary to alleviate the pain. A method that has ancient roots and is often very effective is the application of heat: the classic hot water bag or hot-wet compresses have been used for centuries, relax the muscles and induce immediate relief. This is because the heat favors the vasodilation and therefore there is a greater flow of blood into the affected part: more blood means more oxygen that favors the distension of the muscle groups. And to perform the therapy even outside the home today there are self-heating bands easily purchased in pharmacies without prescription: they can also be worn under clothing, adhere to the part to be treated, they are activated in contact with the air and give off heat for about eight hours. However, if pain is not caused by contracture, heat should not be used because heat is not indicated in cases of acute inflammation, for example due to a recent trauma such as a tear or a stretch, or irritation of a nerve. In these cases you can opt for anti-inflammatory drugs with analgesic activity, such as NSAIDs, naproxen, acetyl salicylic acid or diclofenac which reduce pain and improve symptoms. Previous post: Panic attacks: How to deal with them? Find your method!